accreditation across all business sectors. The assessment panel will evaluate an organisation’s 12 month measurable CSR activity / report based on an established framework of markers. Jennifer is a seasoned sustainability leader, qualified coach and consultant with a pragmatic and empathetic approach to all sustainability and people challenges. With 28 years experience, she was Director of Sustainability for Skanska UK leading them to being a leader in their field and winning Sunday Times Best Green Company. More latterly she was Senior Executive Vice President for Skanska construction at the global level and a non-executive on the board for Skanska USA Civil Engineering, driving sustainability strategy and combining it effectively with business goals. Jennifer combines these two aspects to support and encourage people and companies to become more sustainable as she believes the urgency for change is becoming ever more apparent. Iskren's FinTech career starts with online payments integrations and business development at Paysafe Group through the mPOS space with one of the hottest FinTech start-ups – iZettle. With this experience and an MBA from one of the top 5 UK business schools, he is now one of the founders of KindLink – a technology with purpose company. 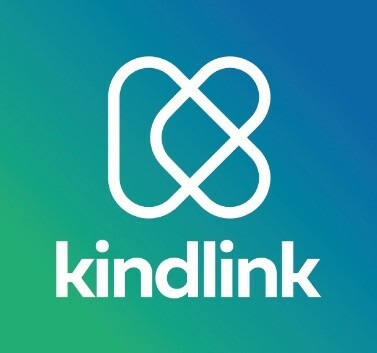 KindLink is technology with purpose where people, companies and charities connect through their charitable giving, making everybody’s impact visible. KindLink helps companies manage and showcase their social impact programmes and provides free tools that allow charities to raise more funds online and communicate their impact. Gina is a development, marketing and client relationship management (CRM) specialist with expertise in business development strategy, key client programmes, client engagement, marketing, business process, change management and technology utilisation. B P Collins LLP is all about achieving the best possible outcome for our clients, whether they are private individuals or organisations. We have a solid track record of winning cases, solving clients’ problems, safeguarding clients’ interests and giving clients peace of mind. Saffery Champness LLP is a top 20 firm of chartered accountants whose concept of service is to solve problems, take advantage of opportunities and turn advice into action. The firm has more than 70 partners and directors, and over 600 members of staff across nine offices in the UK, Geneva,Guernsey & Zurich. Saffery Champness is also a member of Nexia International, a worldwide network of accounting and consulting firms in over 120 countries. Sheryl is one of the partners at Saffery Champness based in High Wycombe. Sheryl specialises in advising owner managed businesses and entrepreneurs on a variety matters including profit improvement, corporate structure and tax efficiency. Sheryl shares her clients’ passion and energy for business and derives real pleasure from helping them grow and succeed. Director and co-founder of Sound Solutions Marketing with extensive experience in management, marketing, sales and training in a wide range of business and corporate settings. Specific expertise and capabilities in selling and sales management, digital and direct marketing, enterprise and career development, social media, business and brand development, innovation, creative industries, small business and the arts. Thames Valley Chamber Group proudly represents one of the world’s most impressive and vibrant international business communities. The M4 corridor, the Launchpad for global brands, Oxfordshire home to science research and collaboration and Buckinghamshire the UKs hub for enterprise and creativity. Peter joined Heart of Bucks in January 2016 after working as Deputy Chief Executive for DENS, a charity supporting the homeless in Hertfordshire. Peter has previous experience as Head of Finance for Aylesbury Vineyard, Chief Operations Officer for City Temple in London and in a senior leadership post at Wycliffe UK. He has developed a passion for community action and social enterprise and is passionate about using his talents and expertise for the good of Buckinghamshire charities. We have a unique understanding of the needs of Buckinghamshire and provide the easiest way for local people to give right to the heart of their communities. Our expertise and experience in assessing local groups and projects ensures that funding reaches those who need it most and can use it effectively. DEBRA is the national charity supporting those directly affected by, and working with, Epidermolysis Bullosa (EB) – a potentially fatal skin condition that causes constant pain due to unstoppable internal and external blistering. At its worst, EB kills. Even in the mildest forms, EB causes lifelong disability and pain. EB affects over 5,000 people in the UK and half a million worldwide – many remain misdiagnosed or unidentified. We fund pioneering research for symptom alleviation and, ultimately, a cure(s). We also provide care and support to the EB Community. We have a vision of a world where no one suffers from EB. Until then, we strive to improve the quality of life for people suffering from EB here and now. Your support makes our vision possible. Thank you – you #FightEB. “If I couldn’t walk and I couldn’t type then I wouldn’t have the quality of life that I do now – and that is thanks to DEBRA.” – DEBRA Member Matt Lightfoot. advancement of education, the protection of health and the relief of poverty, distress and sickness. Diane leads our enthusiastic team of staff and volunteers. She oversees (and delivers!) our support for charities, communities and volunteers across Buckinghamshire. She is a conference speaker and training facilitator. She also provides consultancy to charities, social enterprises and the public sector. We provide our members with knowledge, support and opportunities for growth. By getting involved, you join thousands of other members benefiting from our knowledge, connections, facilities, products and services. From our inception in 2011, when 10 local entrepreneurs and business leaders got together to discuss how to encourage business growth in Buckinghamshire, our ‘doing-it-for-ourselves’ mentality has generated a thriving business community of over 10,000 members – and growing. As a marketing professional, Owen has long been passionate about helping businesses improve their profile and reputation through the use of CSR. Having trained and qualified immediately after university, Owen followed his work with both corporate organisations and marketing agencies by establishing EWO to deliver outsourced marketing management. The award winning consultancy has worked with many businesses, including Brother, EMAP, Saracens RFC, Argos as well as charities and not for profit organisations, developing and implementing CSR strategies that have benefited both business and charity. Owen now continues to deliver advice to businesses and charities alike, working to maximise the benefit they achieve from CSR strategies. David's career has been about enabling people to change no matter the situation or challenge they face. He has worked and applied his knowledge and expertise at executive tables, across whole organisations, in prisons, schools, and communities. He is Co-Founder of the ToolShed. The ToolShed is a growing social enterprise developed by New Meaning Foundation (a social enterprise and behaviour change consultancy). Over the last ten years New Meaning has been a pioneer in individual attitude development, community enterprise and social innovation. New Meaning methods and approaches have directly benefited more than 3,000 people aged between 10 and 90. As the first electric car programs were set up, Katie realised that her passion was electric cars and sustainable travel with the goal of saving money for clients as well as helping the environment. Katie’s first hand experience of living and breathing sustainable transport ensures that clients will receive expert advice from someone that is passionate as well as knowledgeable about sustainable transport, not just for now, but also the future. Her background of being a fleet manager and Implementing an electric vehicle program for Microsoft, means that she knows the challenges that lie ahead for her client’s. As an experienced brand strategist and creative Richard has pursued his passion for helping companies in both the public and private sector promote their ethical behaviour to create differentiation and improved audience engagement. Starting out as an in-house graphic designer at BP, Richard went on to work for several design and marketing agencies. Subsequently he co-founded Milestone Design Ltd in 1995 building a highly creative agency with a strong strategic edge. During this time he also became a director with the Green Organisation who run the Green Apple Awards, which recognise, reward and promote environmental best practice around the world. In 2011 Richard moved on to set up Ecobrand a full service creative agency specialising in brand communication and brand language. Ecobrand helps organisations promote their CSR and sustainability efforts as an integral part of their brand personality. To compliment this Ecobrand also run the International CSR awards. Established in 1994, we are an international, independent, non-profit, non-political environment group dedicated to recognising, rewarding and promoting environmental best practice around the world. Key to these aims are our International Green Apple Environment Awards, presented every year in the Houses of Parliament, London to companies, councils and communities who are doing their best for the environment. The Green Apple Environment Awards were launched in 1994 by The Green Organisation and have become well established as one of the most popular environmental campaigns in the world. The Green World Awards are fundamental to The Green Organisation’s philosophy of helping others to help the environment, because the prestigious awards ceremony is held in a different country every year – raising awareness and involvement around the globe. It began in London, followed by winners from around the world attending events in New Zealand, South Korea, Dubai… The journey continues, and every carbon footprint caused by winners and their guests is offset by the planting of trees in co-operation with Green Earth Appeal and the United Nations Billion Tree Campaign.